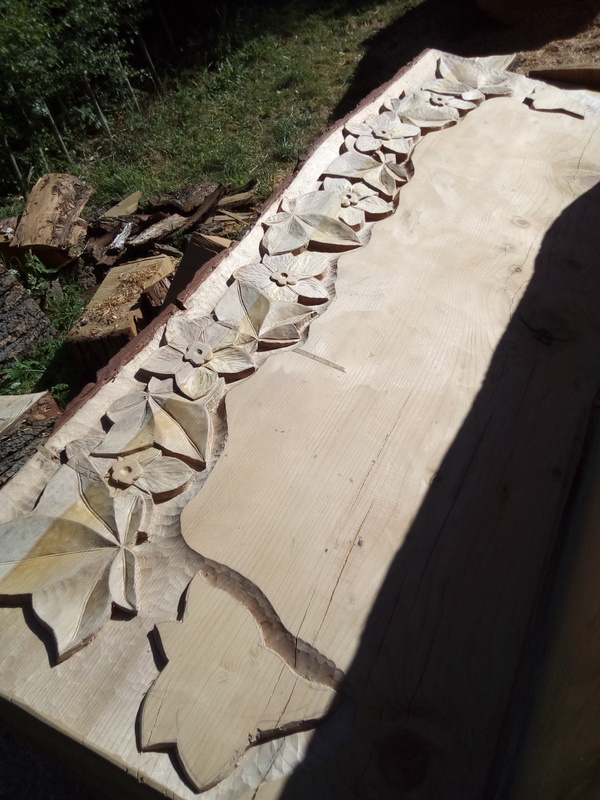 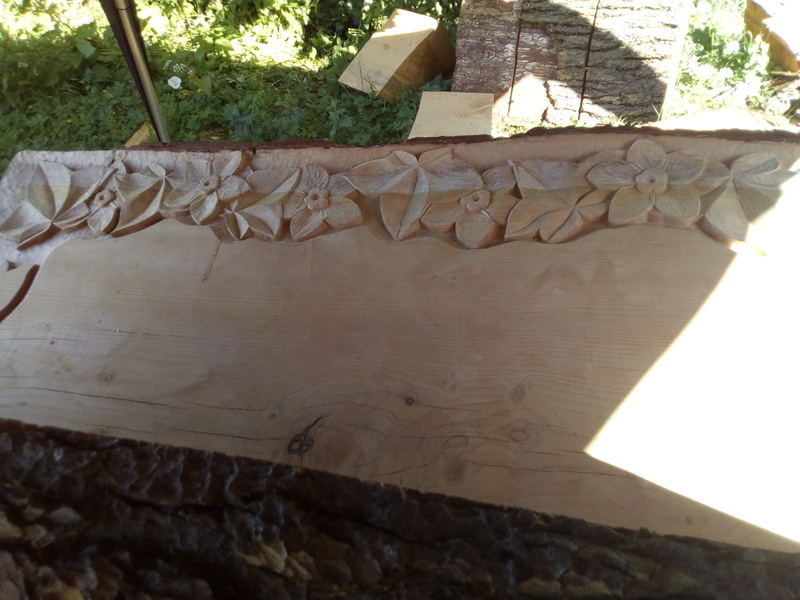 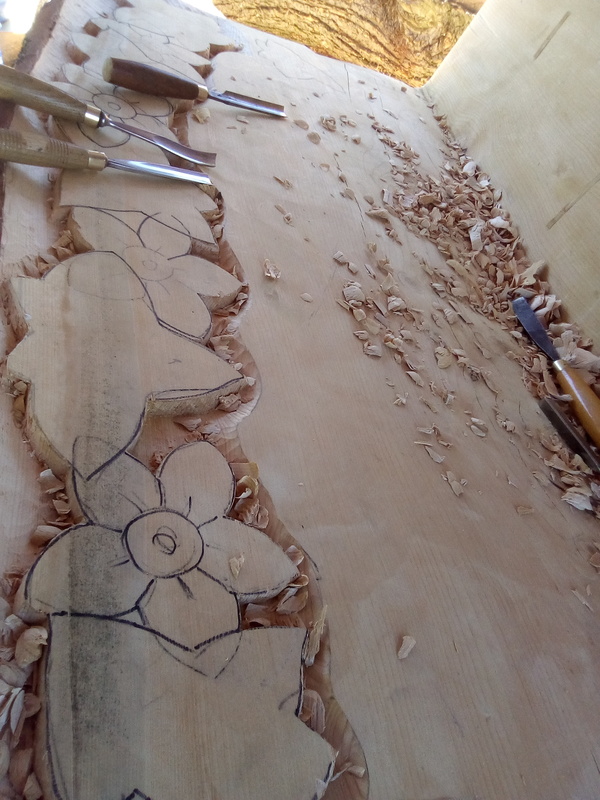 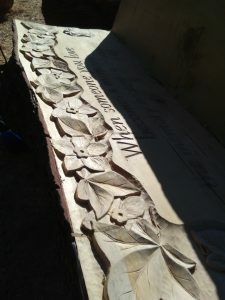 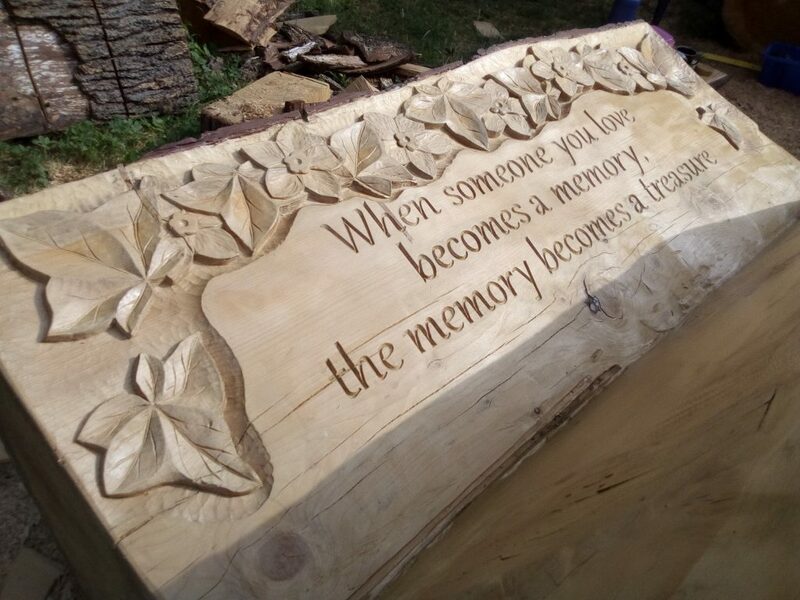 The third and final log bench for Scawby ~ this one for the village cemetery; the simple design of ivy leaves and Forget-me-nots was decided on after studying Victorian Plant Symbolism, and framed the words (again chosen by the Parish Council) nicely. 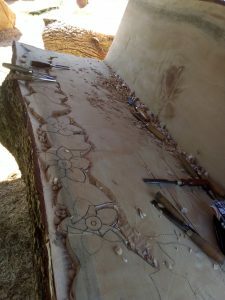 Up until now the cedar had been a dream to work with, soft, dry and able to take a fair amount of detail; the outer sapwood edge of this log though was very fragile, crumbly and hard to carve. Luckily, with such a design there is a bit of flexibilty, and if a corner breaks off a leaf it can be reworked without much upset.